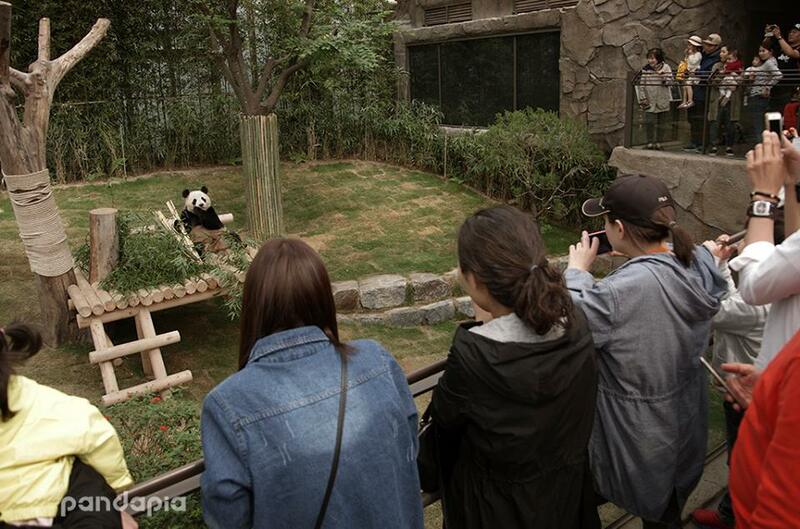 The birthday for one of a pair of giant pandas, leased by China, was celebrated Wednesday at the zoo of Everland, South Korea’s largest theme park located in Yongin, 40 km south of capital Seoul. 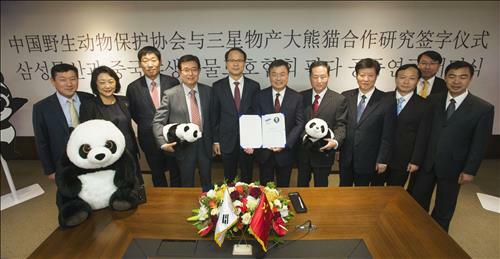 Le Bao, a five-year-old male, and Ai Bao, a four-year-old female, arrived in South Korea in March last year on a 15-year lease. Their names mean pleasant and lovely treasures. 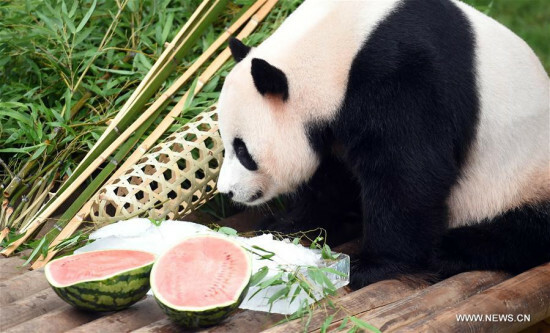 To congratulate Ai Bao’s birthday, the theme park operator displayed a birthday cake, made up of bunches of bamboo, flowers and candle-shaped carrots, at the center of the female panda’s pen.